The worlds greatest machinery demonstration exhibition of it’s kind! Visit to Canadian Embassy or ACA (Argentina Co-op Association) presentation on Argentina Ag Industry and doing business in Argentina. Afternoon: City Tour of Argentina - Free time at La Boca Quarter, shop and watch Tango on the street, bars etc. Transfer to the hotel for lunch. Afternoon: Iguazú Forest – Trekking into the tropical jungle to discover the flora and fauna, the ecosystem. You will touch and feel the sounds of the jungle. In the late afternoon we will take a boat to navigate by the Paraná and Iguazú rivers. Enjoy the landscape with some drinks and live music on board. Full day Iguazú Falls: Located in Misiones Province in the North-eastern tip of Argentina and bordering the Brazilian state of Parana to the north, Iguazú National Park, jointly with its sister park Iguaçu in Brazil, is among the world’s visually and acoustically most stunning natural sites for its massive waterfalls. It was inscribed on the World Heritage List in 1984. Across a width of almost three kilometres the Iguazú or Iguaçu River, drops vertically some 80 meters in a series of cataracts. The river, aptly named after the indigenous term for “great water” forms a large bend in the shape of a horseshoe in the heart of the two parks and constitutes the international border between Argentina and Brazil before it flows into the mighty Parana River less than 25 kilometres downriver from the park. Large clouds of spray permanently soak the many river islands and the surrounding riverine forests, creating an extremely humid micro-climate favouring lush and dense sub-tropical vegetation harbouring a diverse fauna. Depart to Posadas, the capital city of Misiones Province. Expoagro is an undisputed reference of the Argentine agricultural and farming sector in the world and its four days constitute a unique opportunity to be part of this productive phenomenon that offers a network of valuable contacts to generate business opportunities and technical exchange with companies in Argentina. Year after year, more and more foreign delegations visit Expoagro. Hundreds of entrepreneurs, technicians and farmers of over 30 countries of the 5 continents, attend the exhibition for networking and dealing with local companies. Meetings can be set up with exhibitors ahead of time, please advise who you wish to meet with and we will make the appointment on your behalf. After the busy day at EXPO AGRO you will have free morning to relax & rest. This afternoon we will explore other parts of Buenos Aires that we didn’t couldn’t see on our city tour upon arrival in Buenos Aires. Morning Visit a Horse Ranch where you will find the “criollo”, the king of the pampas. The criollo (Argentinean Horse) is a strong and rustic horse descended from Spanish horses and naturally adapted to the Pampas. The breed, known for its hardiness and stamina, is most popular as a working horse. One example of the breed's fantastic endurance was the ride made by the Swiss-born Argentine rider Professor Aimé Félix Tschiffely (1894–1954) between 1925-28. 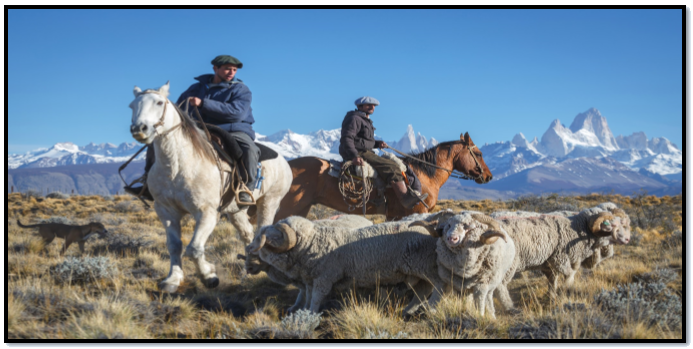 Tschiffely took two crioulos, 16-year-old Mancha and 15-year-old Gato, on a 13,350 mile (21,500 km) trek from Buenos Aires to Manhattan, New York, crossing snow-capped mountains, the world's driest desert, the thickest tropical jungles, riding in all types of weather. Alternating the riding and packing between the two horses, the trio took three years to finish the trip. Gaucho Museum, free time to explore San Antonio de Areco , stop in to the shops and buy some typical Gaucho products, leather products, traditional Gaucho knifes, mate cups, jewellery. International show with our famous world music TANGO, singing and dancing. Group Size: 25 to 29 Passengers Land Only: Twin Share: $4397 per person Single traveller on request! NOTE: Flights can be booked on air points or with the group flights, the flights have not been released for March 2019. We will provide a quote for group flights once they release the dates.